Hotel rooms and special pet friendly units. Clean and air conditioned for overnight highway accommodation. 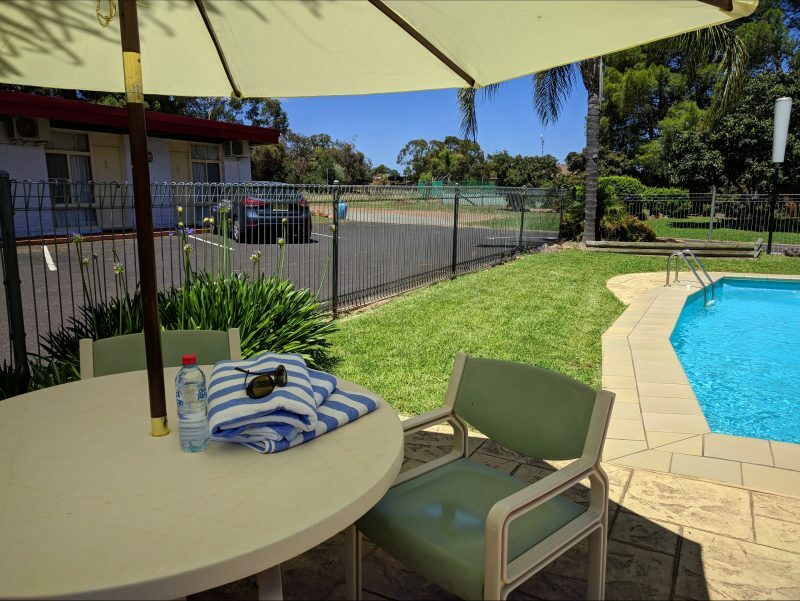 Quiet ground floor non-smoking rooms featuring cooling and heating, private en suites, lounge, fridge, microwave, saltwater pool and garden, parking at your door, boat and trailer parking and free unlimited wifi. 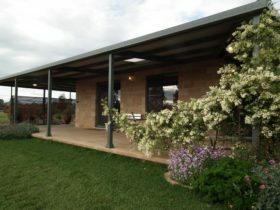 Offering rooms for one to six guests you will always be welcome and accommodated. 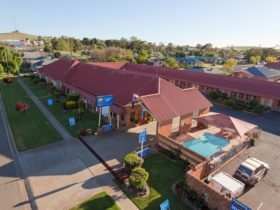 Twenty minutes drive from Forbes and one hour drive from Dubbo on Newell Highway A39. 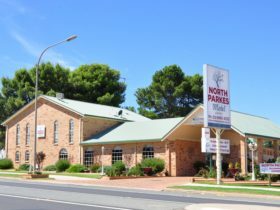 Next to Visitors Centre Parkes and Elvis Museum. 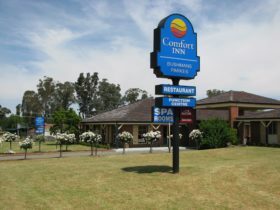 Enjoy their spacious rooms fully equipped with queen beds, split-system reverse cycle air-conditioner, en suite bathroom with walk-in shower, 32″ flat-screen television, lounge, table and chairs, tea and coffee making, toaster and microwave, plates, cutlery, fridge and free in-room Wifi that really works. 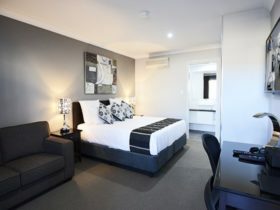 Standard and deluxe rooms available with wireless internet access and air-conditioning, and meals to units. There is a saltwater pool in the complex. 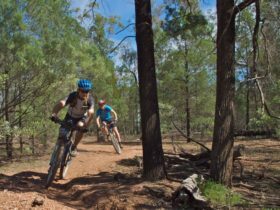 Seniors discounts and auto club rates available for travellers on Newell Highway. Ring the motel for details and bookings. Subject to change and availability.